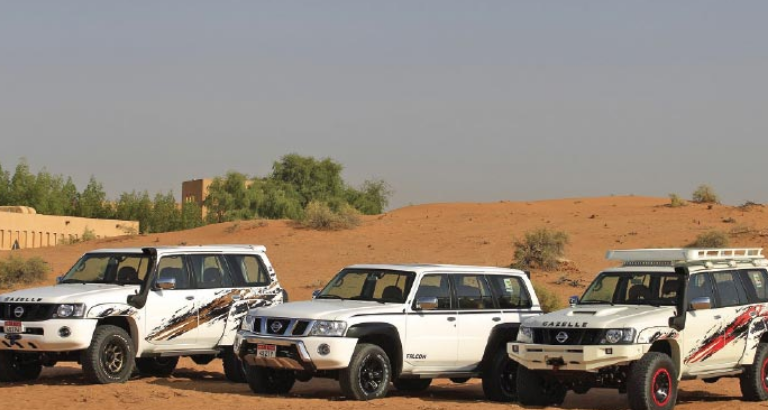 Nissan has expanded the iconic Patrol Safari range with the introduction of three exciting new editions – the Patrol Falcon, Gazelle and Gazelle X. Exclusively developed for and available to customers in the Middle East, these cars are inspired by two of the iconic animals of the region, the majestic soaring falcon and fleet-footed gazelle. The Nissan Patrol Gazelle Edition is the ultimate urban 4WD. Improved suspension and new additions have boosted performance, elevating the vehicle over and above a regular off-roader. Taking it one step further the Patrol Gazelle-X features enhanced functions and capabilities. The definitive off-roader, it has been designed to dominate the world of desert driving. All three editions are available at Nissan dealers across the region. Also, now available across the Gulf is a new manual variation of the Super Safari model.